It’s known as the nation’s worst mine disaster. People miles away felt the blast, and feared the worst. 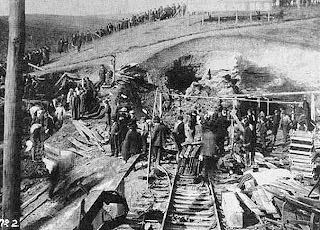 Today marks the 110th anniversary of the Monongah Mine Disaster that killed at least 362 men on Dec. 6, 1907. 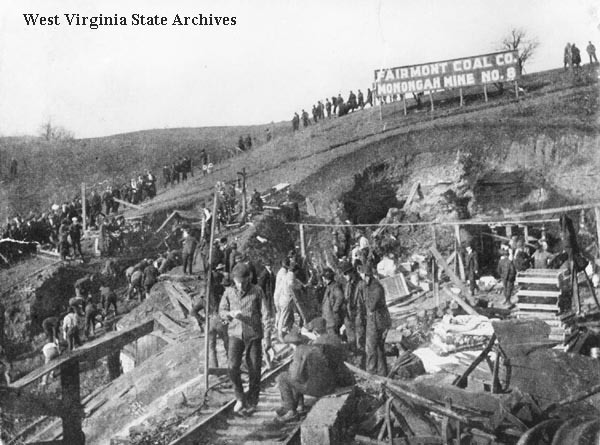 The historic explosion occurred in Fairmont Coal Company’s No. 6 and No. 8 mines. Historians believe most of the miners were killed instantly. An official cause of the explosion wasn’t determined. But it’s believed that an electrical spark, or one of the miners’ open-flame lamps ignited coal dust or methane gas. A county coroner’s jury concluded the cause, and made the information public. Officially, it was listed as a “blow out shot inflaming the dust” or by the “igniting and explosion of powder” in mine No. 8. Just “traces of gas” was found, the report stated. However, there was also a call for action to prevent further deadly mine explosions. Two weeks later, the federal government issued a report noting the increasing number of mine disasters and deaths. There was also a need for more educated use of explosives, and better working conditions. Monongah disaster miners died even though the first volunteer rescue units went into the mine just 25 minutes after the explosion. Not much was possible since the underground mine had become an apocalyptic scene. There wasn’t only interior damage, rescue attempts were hampered by still burning fires and smoke. Soon the rescue effort became a recovery effort. The official death count was 362. Still, there’s no real way of knowing if there were more fatalities. Miners were known to take children and others down the shaft to help them work. None of those individuals would have been registered, or thus counted among the deceased. Peter Urban was the only miner who was rescued alive. Grieving family members waited outside but the news was grim. Many of the bodies brought up were burned and mangled. A temporary morgue was set up in a bank building. Some bodies were beyond recognition and never identified. A graveyard was quickly established as rows of open graves were dug in the half-frozen soil. In the end, the disaster left more than 1,000 widows and children. Many men and their family had come from Italy, San Giovanni in Fiore. Large numbers of them were among the killed miners. Over the following years, the two communities maintained a strong relationship forged in the disaster. 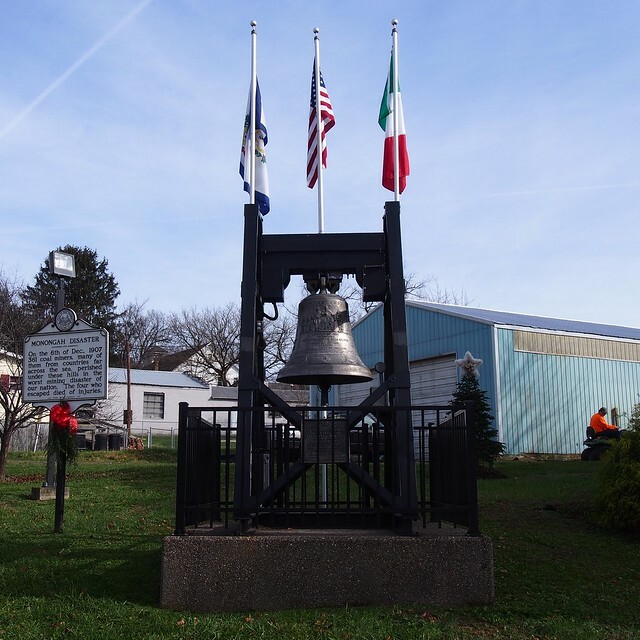 A bell sits at the Monongah town hall which was given by the Italian region of Molise. The gift commemorated the explosion’s 100th anniversary, and still draws tourists to the Marion County community.